“This document is the 2013 edition of the National Institute of Corrections (NIC) Report to the Nation. With many new programs and agency initiatives unlike any we have experienced in the recent past, this fiscal year (FY) 2012 report is one I am very pleased to present. Despite our small budget and size, we continue to operate with agility, responding to the needs of local areas around the country to safeguard communities while providing training and professional development opportunities to correctional professionals throughout the country. Our staff meet with officials to assist them with some of the toughest problems facing our nation’s criminal justice system. This document is evidence of our dedicated work. We accomplished a great deal in FY 2012. We successfully hosted two widely attended public hearings. The first was held on the campus of Stanford University in Palo Alto, CA, against the backdrop of realignment and corrections reform occurring throughout the state. Invited guests shared testimony on the current status of corrections while providing hopeful remarks, suggesting that recent changes in sentencing, reentry programming, and others are signals of reform. 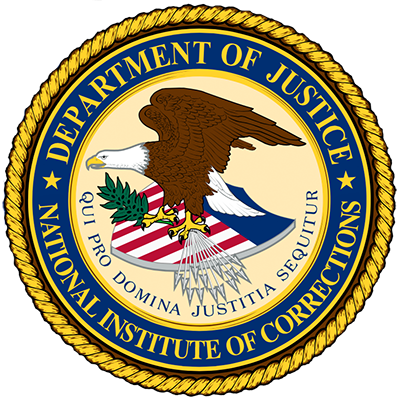 The second hearing, held in Washington, DC, at the U.S. Department of Justice, captured concerns among practitioners about the ever-rising cost of corrections in America, its cause, and what we can begin to do about it. Also in FY 2012, NIC hosted two very important national symposia—one for states involved in the Evidence-Based Decision Making Initiative and another for pretrial agencies. These symposia and a national summit for states involved in the Transition from Jail to Community Initiative were landmark events. They were the first of their kind for NIC.” These remarks were made by Morris L. Thigpen, Director, National Institute of Corrections (NIC). Topics reported upon include NIC’s reaching out to the field of corrections, supporting corrections in the field, training of corrections leaders for the future, continuing to supply the field with information resources, and the provision of technical assistance.